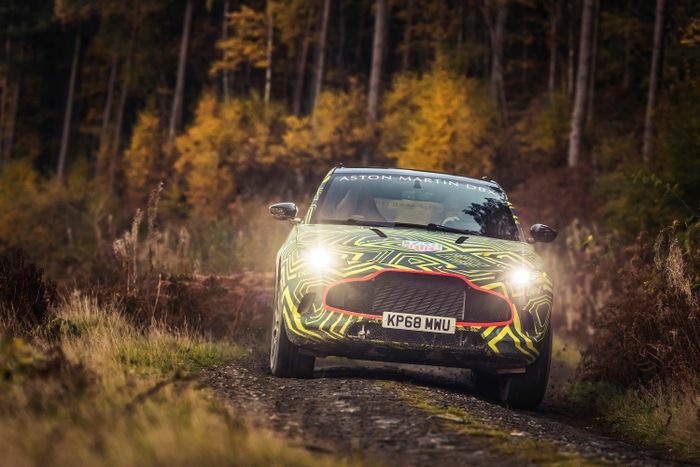 Aston Martin has released a handful of pictures showing an early prototype of its SUV getting its drift on around a Welsh rally stage. It will use the name DBX, as expected, following in the concept’s tyre tracks. Clearly it’s not going to be designed purely for posing outside casinos in Monaco, either. 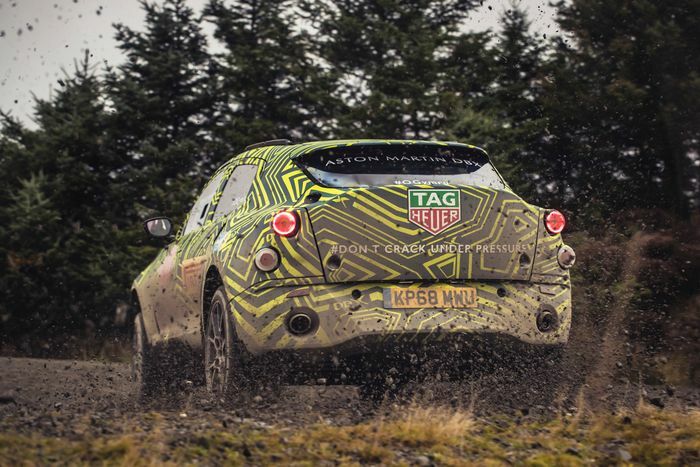 An unspecified rally stage in a country renowned for the toughness of its rallies is the base for the DBX prototype’s first round of punishment. 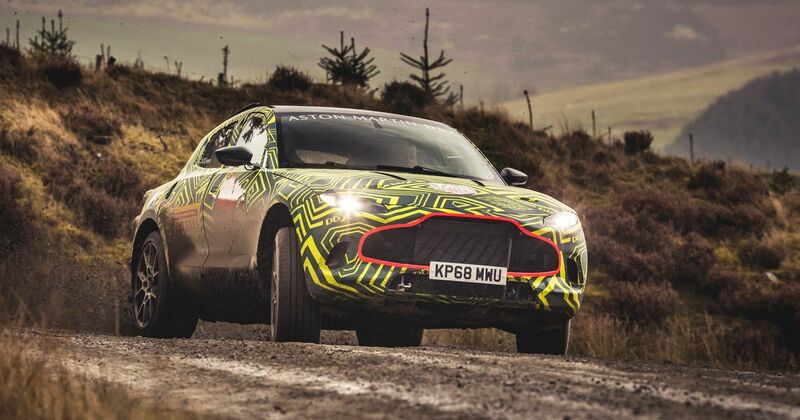 “We have already developed and tuned DBX in the driving simulator, which has enabled us to make excellent progress in advance of the first physical prototype cars being available. Still, it’s always a big day when you get to put the first actual miles on an early prototype and I’m delighted with the near perfect correlation between the simulator and this prototype. It’s just a year until the production-ready DBX will be revealed to the world. Wales was chosen as the first place to test it as a nod to the brand-new St Athan factory west of Cardiff. All DBXs will be built there before the site gears up to produce all Aston Martin EVs, and potentially also those branded Lagonda. South Wales also happens to be quite a pretty place to put a car, luckily. 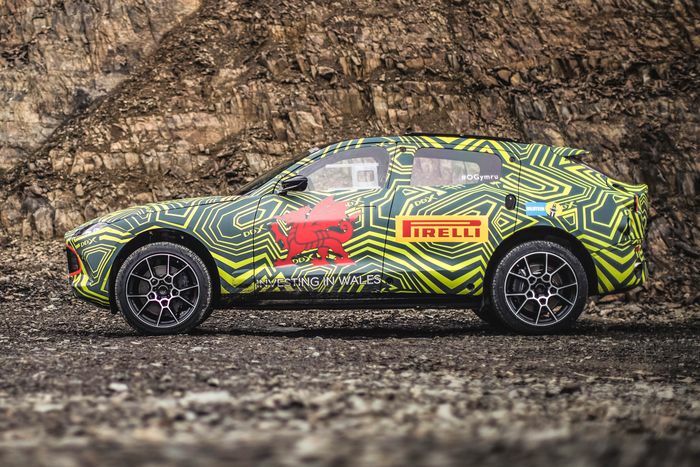 Later stages of the DBX’s development will take numerous test mules to the Arctic Circle, middle-eastern deserts and, naturally, the Nurburgring via an autobahn or two. We don’t expect it will look quite so good anywhere as it does caked in mud on a Welsh hillside.